Like most jobs, that last 5% seems to take half of the time. My best guesstimate before taking on this project was a conservative 300 hours to complete. I’m currently sitting at 175 hours invested. I say sitting because the last bit of “work” on the “yak” has been more studying than doing. The last details such as hatch attachment, deck lines, cockpit coaming, etc. really effect the look and many functional aspects of the design, and when it comes to drilling holes in the shell, I want to do it once and get it right. I’ve resolved to use a modified version of Babina’s screw down hatches, but I don’t care for the chunky knobs he illustrates. Mine will echo the earlier fashioned carry toggles and will resemble small wing nuts that can readily be spun to dog down the hatches. 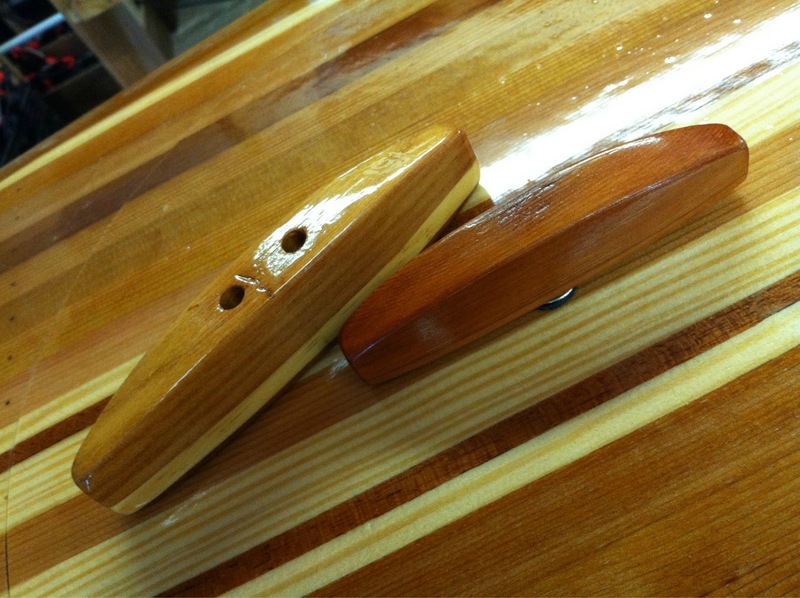 Toggle & new hatch handle. More sanding & varnish required. A 1/4×20 stainless threaded rod is epoxied into handle. I filed a flat edge to the rod for a more secure bond to the handle. 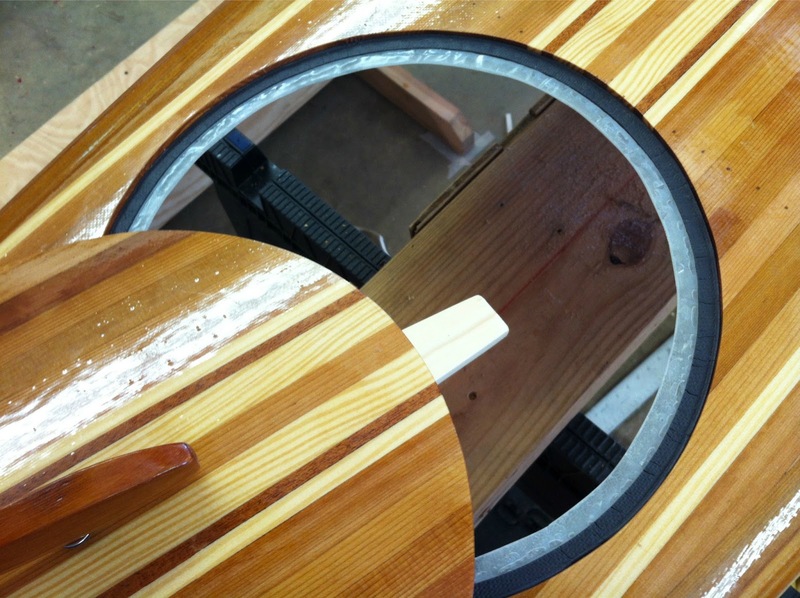 A sugar pine batten that is 5″ longer than the hatch diameter has an epoxied nut on the underside. I used some left over adhesive roofing material to capture a stainless washer between the handle and hatch and directly under the hatch to keep the rod from sliding up and down. 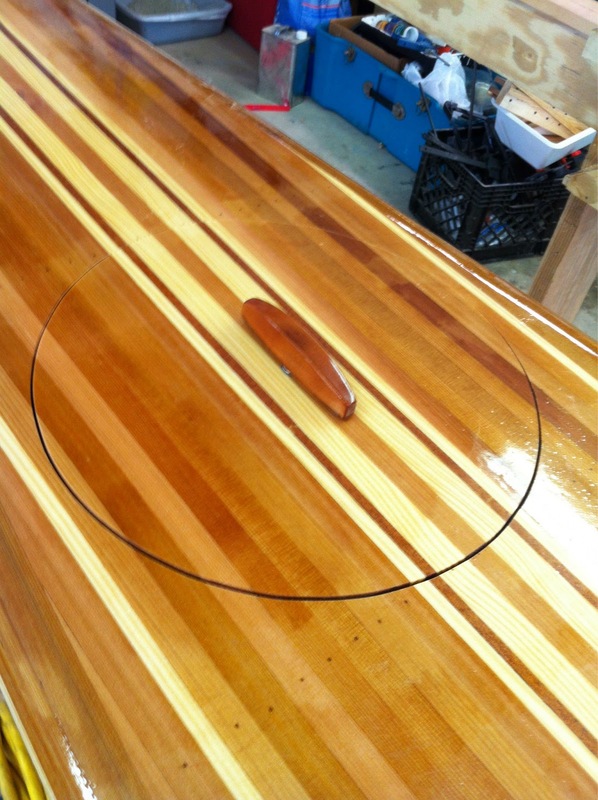 gasket installed in hatch rim. 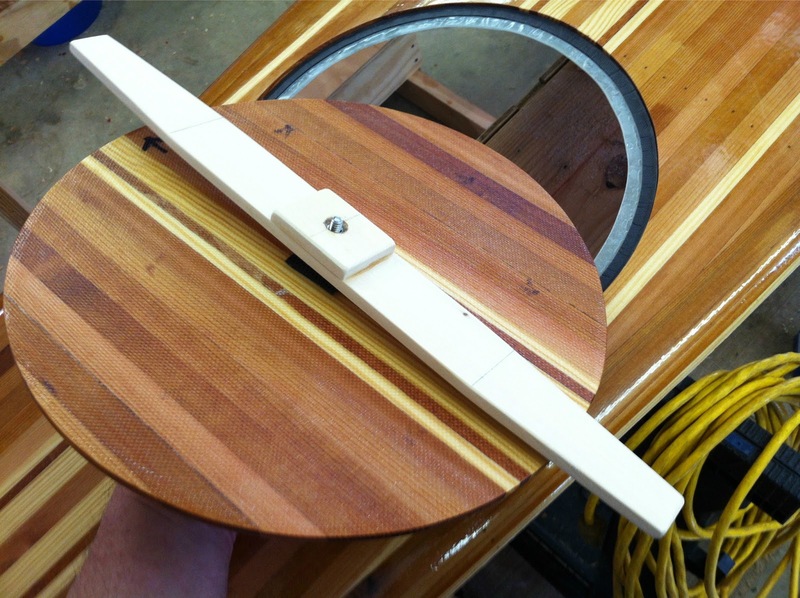 I’ll use my “paddle soup” to finish the battens and I’ll add a slotted keeper to one end of the hatch to receive the batten and hold it still while tightening. Otherwise, we are done here. Pouring a good gallon or 2 over the hatch showed no leaks with very little tightening. 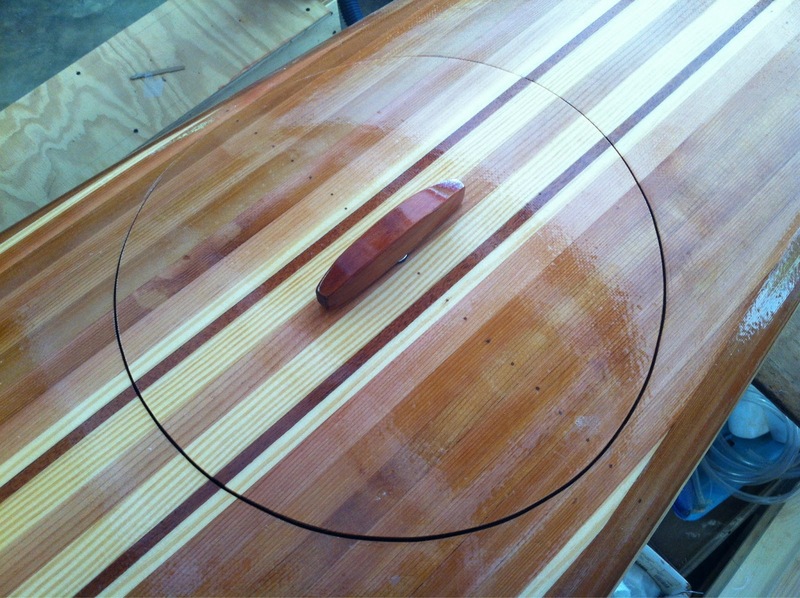 I’m thinking the deck lines will echo those commonly found on more traditional Greenland kayaks. I’ve read Latigo leather best resists the elements. I also suspect it will be more secure and less likely to give as shock cord does. Lastly, I think it is more in keeping with the traditional lines of this boat. However, since I can’t quite decide, we’ll move on to the cockpit coaming next.